Tower 42 is a famous building in the City that was built between the 70's and 80's. Located conveniently between Bank and Liverpool Street tube stations this commercial property has a wide selection of amenities within consisting of restaurants, cafes, bars, gymnasium, swimming pool and a spa. The Business Centre has a fully staffed reception and offers support to all companies and businesses within which include welcoming visitors, IT service support and telephone answering. With board room and conferencing facilities on site, hourly or daily hire is available by booking in advance. 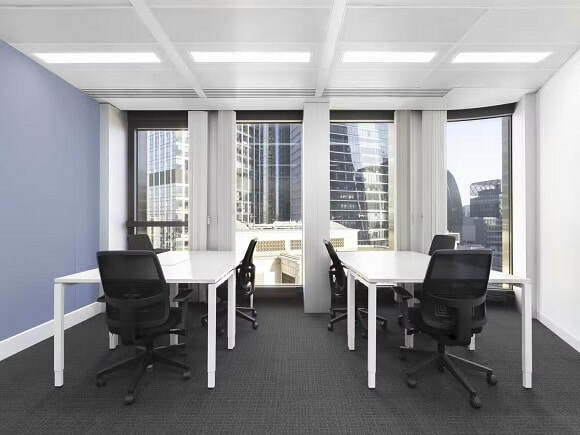 Serviced offices come in an assortment of sizes and layouts and are supplied with furniture and telephone handsets. Internet speeds and bandwidth can be customized to specific needs and telephone systems are all in place to be routed according to a requirement. This office space for let also has flexible rental term agreements to suit a timescale.